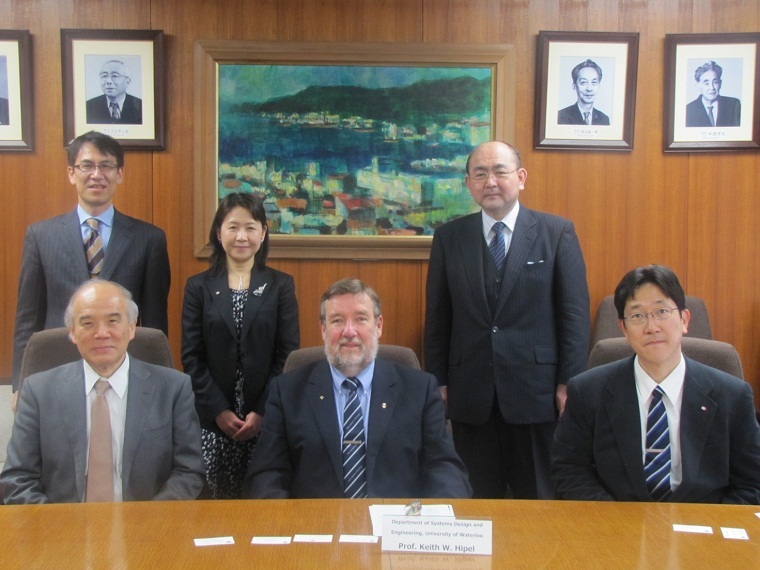 On March 18, Professor Keith W. Hipel, Department of Systems Design and Engineering at the University of Waterloo and President-Elect, Academy of Science, Royal Society of Canada (RSC) paid a courtesy visit to Professor Takashi Onishi, President of Science Council of Japan (SCJ) and Dr. Fumiko Kasuga, Vice-President of SCJ in Charge of International Activities. He was accompanied by Professor Takehiro Inohara, Department of Value and Decision Science, Graduate School of Decision Science and Technology, Tokyo Institute of Technology. The participants had an exchange of opinions on the roles and the resent activities of SCJ and RSC.